Tatiana Melnik (Rus. Татьяна Мельник), Maria Beck (Rus. Мария Бек, called also Masha Beck) and Natalia Kleymenova (Rus. 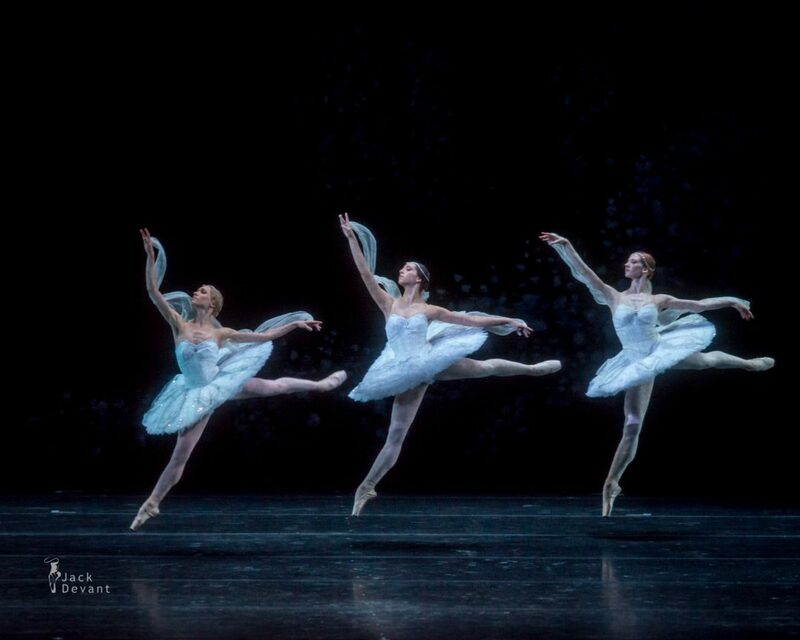 Наталия Клейменова)as The Three Shades in act II, La Bayadere. Choreography by Natalia Makarova after Marius Petipa, music by Ludwig Minkus. Shot on 19.12.2014 in Stanislavsky Theatre, Moscow.